I recently received the first few instalments of Hachette’s Judge Dredd: The Mega Collection, a fortnightly subscription-based series of hardback collections featuring Mega-City One’s finest lawman. Yes, it’s one of those partworks that’ll probably drain your spare income for the next few years, but The Mega Collection is also a focused offering that showcases 2000AD‘s flagship creation and provides an opportunity for new fans to get acquainted with Dredd’s greatest hits in a uniform format. Featured first is John Wagner’s seminal America, the 1990 storyline that launched the Judge Dredd Megazine. Joe Dredd has always been the most unusual of comic book icons; a merciless parody of a futuristic Tory Britain driven by a fascist police force, whose popularity saw him gradually evolve into an antihero of sorts. 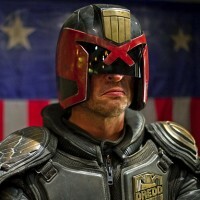 America sees Dredd wisely placed in the background as it explores life in Mega-City One from the gutters. Stunningly rendered by Colin Macneil, America explores Mega-City One from the perspective of docile civilian Bennett Beeny, following his tragic relationship with America Jara, whose ideology and resentment towards their oppressive “protectors” leads her to terrorist acts and an inevitable collision with you-know-who. It’s a superb tale marked by a beautifully warped ending that hasn’t lost its edge after all these years, and deserves to stand alongside the likes of The Dark Knight Returns and Born Again as one of the era’s finest takes on an established character. Wagner returned to these characters in two other stories, ‘The Fading of Light’ and ‘Cadet’, also contained in the Mega Collection’s first volume, and while neither captured America’s spark they are nevertheless welcome additions. Volume 2, Wagner’s Mechanismo, presents the Dredd that we know and love. It’s not as poignant or haunting as America, but it doesn’t attempt to be; this is undiluted 2000AD at its most irreverent and sadistic. This trilogy (‘Mechanismo’, ‘Mechanismo Returns’, ‘Body Count’) sees Dredd take on robotic Judges based on his self-penned law enforcement handbook. Spolier alert: the droids don’t prove a worthy replacement for Dredd’s human indifference, and instead go on a killing spree. The book themselves are rather gorgeous, presented in a smaller format than was originally published, with an awesome Patrick Goddard image that spreads across the spines when compiled. I guess whether you prefer your 2000AD trades in their original scale or one that compliments the rest of your graphic novel collection is a matter of personal preference, but I’ve always enjoyed this slightly condensed format. 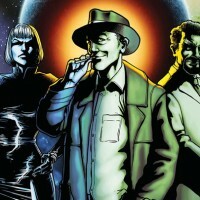 Each volume also contains a host of additional short stories, interviews and art, distinguishing them from previous trades. I’ve always been partial to a bit of Dredd, but perhaps not enough to keep up the fortnightly payment of £9.99, which is a more than reasonable price given the quality of these editions. 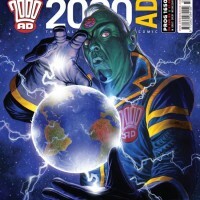 But I do hope that Hachette eventually follows up this series with a 2000AD Collection. 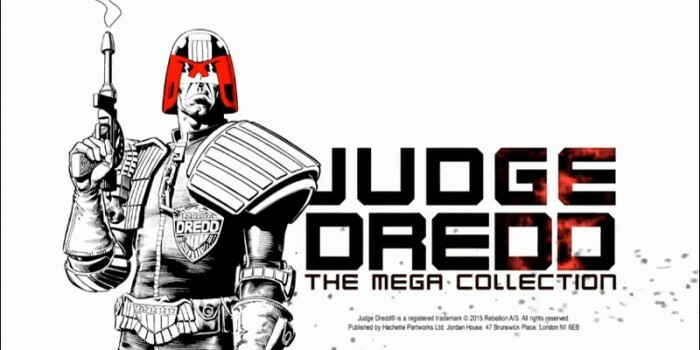 The presentation on The Mega Collection is superb, and the prospect of seeing such classics as Rogue Trooper, ABC Warriors, Slaine, Bad Company and Strontium Dog in a similar format would be too much for my Earthlet brain to handle (though this collection does include such “Dreddverse” series as Devlin Waugh). Anyway, that gripe aside, this is a cool collection, and a must for Dredd fans (at least those who don’t already own a large percentage of the trades). 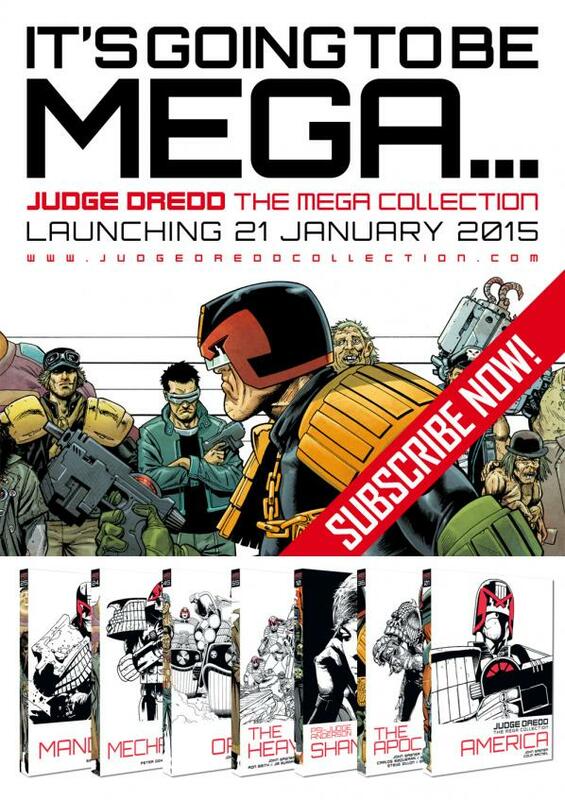 While The Mega Collection started a few months ago, you can hopefully still pick up the first instalment for just £1.99, which, considering that it’s one of 2000AD‘s finest, isn’t so much a decision as a duty.